"What do you mean, why do Americans constantly waste food?" "She wanted it". 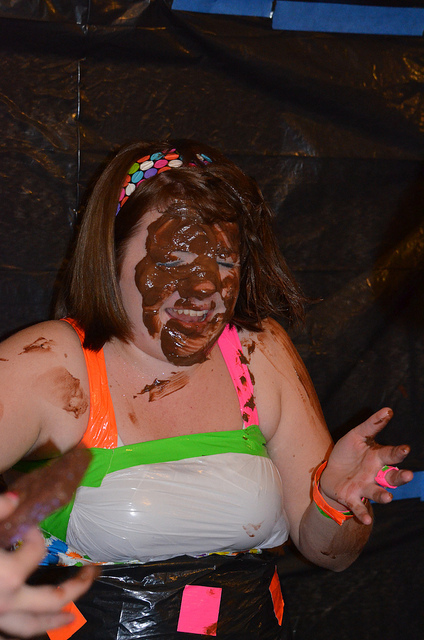 I think it is something really mean to say about an overweight person that has cake on her face. And 'No' I am not an overweight person. I just have common sense. With a name like PartyPooper, you have to wonder what other types of scatological delights this person holds. No wonder the ladies want his cake smashed in their faces. PartyPooped. My bad. Sounds pretty much the same tho.